You can’t beat natural. In this case, the topic is human mother’s milk. Today in the New York Times is an article “Breast Milk Becomes a Commodity”. Apparently human milk is something that is unmatchable in it’s ability to help some infants. The American Academy of Pediatrics says that because of the “potent benefits of human milk,” all premature babies should receive breast milk, preferably from their mothers, but if not, then from donors. But there is not enough donor milk for that, experts say, partly because many women do not know that they can donate or sell excess milk. Try as they might, and they have been trying for decades, the benefits of human milk for human infants cannot be duplicated by food scientists. The reason that it cannot be duplicated is that a lot of the time just testing and analyzing something changes it. 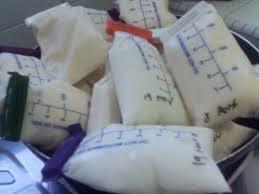 Finding out what is good for the baby about breast milk involves more than just the milk. There is also the question about what is going on between the baby and the milk, and the microbes in the milk and the baby, and the microbes in the baby and the milk. Lots of nourishment is taking place, and none of it can be duplicated or easily documented in a laboratory. Industry has figured out a way to profit from the unique qualities of mother’s milk though. It buys it from the needy, processes it in a factory where it is concentrated and pasteurized. Of course the infant needs everything in the milk, or it wouldn’t be there, so killing the microbes put into the milk by the breast is already adulterating it, but we are all scared of other peoples’ germs due to years of sales pitches for hand sanitizers and what all. Still, profiting from needy mothers is now an ‘industry’. Prolacta processed 2.4 million ounces, or 18,750 gallons, of milk last year and aimed to do 3.4 million this year. That compares to the 3.1 million ounces dispensed in 2013 by all 18 nonprofit milk banks that belong to the Human Milk Banking Association of North America. Those milk banks do not pay women for milk but do charge hospitals a few dollars an ounce to cover the costs of screening donors and pasteurizing the milk. My thoughts are mixed on this topic. I think it would be wrong to profit on the benefits of milk without giving the supplier a cut. It would also be wrong to take milk that a needy mother should be giving to her own children, but isn’t because selling it makes needed income for her family. That math is for the mother to calculate though. She should definitely be offered a portion of any money to be made selling something she creates herself. The salient fact here is that something in this natural food cannot be reproduced. This makes me think of all of the processed foods we eat instead of real foods. They all have the same problem. Just putting a sample of the thirteen essential vitamins and minerals into an otherwise dead food is not the same as eating real food containing vitamins and minerals–AND WE DONT KNOW WHY. Food is just as mysterious and uncharted territory as breastmilk. No one has any real concrete notion why it is that some fats are good (the natural ones) and some are bad (the processed ones). What is it in broccoli that aids us that is lost in the process of processing? Why cant we eat bowls of vitamins and minerals and dispense with all that cooking and preparing? Well–we can’t and it’s a mystery what the machinery is that makes that so. The next frontier could be the complex sugars in milk. Glycosyn, Jennewein and Glycom, which has worked with Nestlé, are trying to synthesize them to make products that would nurture a healthy gut “microbiome.” Prolacta and Medolac say their ability to collect milk nationally will allow them to extract those sugars from the milk. Money is now seeing itself in the “micro biome”, probiotics, and complex sugars. Money will find a way to sell you a pill that contains these ‘essential’ nutrients or microbes. Money won’t have any idea whether or not these things work in isolation or why they work, but if a flashy package containing the words “CONTAINS PROBIOTICS” can get you to spend more than you otherwise would on a bottle of tea, then they would be foolish to leave that money on the table. Right? Or, instead of buying a box, bag, or bottle ‘Containing’ probiotics, you can eat real food prepared by you. Your kombucha would contain probiotics. Your Sauerkraut would contain probiotics. You cheese would contain probiotics. Just about anything real and natural in your pantry will contain probiotics. The milk from your very breast will contain them too, and complex sugars, and every vitamin and mineral in just the right proportion. It cannot be duplicated in a food laboratory, despite what the label says. This entry was posted in Health, Living and tagged breast feeding, breastmilk, milk banks, natural, real food, selling human milk. Bookmark the permalink.